Overview: Brand New Tilt-Shift Maker! Hope you enjoy Awesome Miniature World! Brand New Tilt-Shift Maker! Hope you enjoy Awesome Miniature World. Experience attractive blur effect and powerful editing features of Awesome Miniature Pro on your palm! Transform your moment into a scene of movies! Change your ordinary town to a mysterious miniature world! Meet Awesome Miniature Pro and step inside to the new stage of photography! 3 types of Blur effect: Linear, Radial, Oval - Linear blur is for miniature effect. Radial blur is for sleek depth of filed effect. Oval blur for detailed area setting. Live Blur - Make it real-time! Control the blur area and watch your effect simultaneously. Various 30 filter effects that you can mix - Vintage effects of Instagram, Color Splash effects, B&W effects and Professional Film effects! You are able to control the opacity of presets in real-time. And you can stack every effect as much as you want. Powerful editing features - Crop, Rotate, Exposure, Color and White Balance. 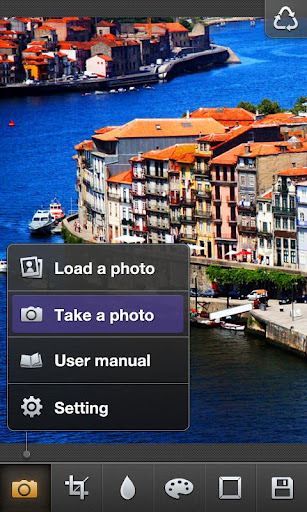 You don't need another photo editor for basic editing. Save in various resolutions - Awesome Miniature Pro allows you to save a photo in from SNS optimized sizes up to the size of 2048 px. 3 types of blur : Linear, Radial and Oval.